A brave warrior, hero, a princess and more. These were just some of the words used by many mourners to describe a modern Samoan warrior, Manamea Apelu Schwalger, who during the past few years has become the face of Samoa’s Pinktober and the fight against cancer. Affectionately known as “Mana,” she passed away peacefully on Sunday morning at her home in Tanumapua after a battle with breast cancer and an incurable lung disease. She was laid to rest yesterday at the Annandale Estate at Si’usega, after a service at Tanumapua Plantation House. The service was well attended by her families and close friends. Manamea is the daughter of Galoioalolealofa Tuiletufuga and Taufua Simimaiau Apelu. Married to Asa’asa Tagaloakaoa Su’a Alan Schwalger, they have five children, Sade, Tyrone, Zulaika, Manamea and Tuifeamalo. Loved by many, the former Miss South Pacific and Miss Samoa, was known for her strong advocacy work for cancer. She made a historical change to the iconic Town Clock in the heart of Apia, with the color pink for the whole month of October last year. 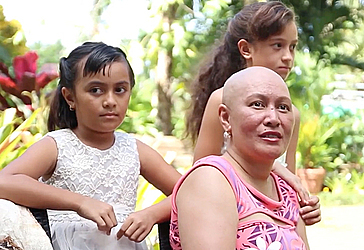 Mana used her speaking skills and public profile to go public with her breast cancer battle in Samoa. She wanted to raise awareness on the contributing risks to breast cancer in Samoa and found that many Samoan women shied away from discussing breast cancer. She hoped to shed light on the importance of early detection and recognising the symptoms of breast cancer. C.E.O. of the Samoa Cancer Society, Shelley Burich, paid tribute to her courageous friend and a brave warrior. “It is a day that I had hoped would not be so soon, but who are we to stand in the way of God’s plan for each of us,” she said. “Yesterday, he called Mana home to his kingdom, to be free of her pain. 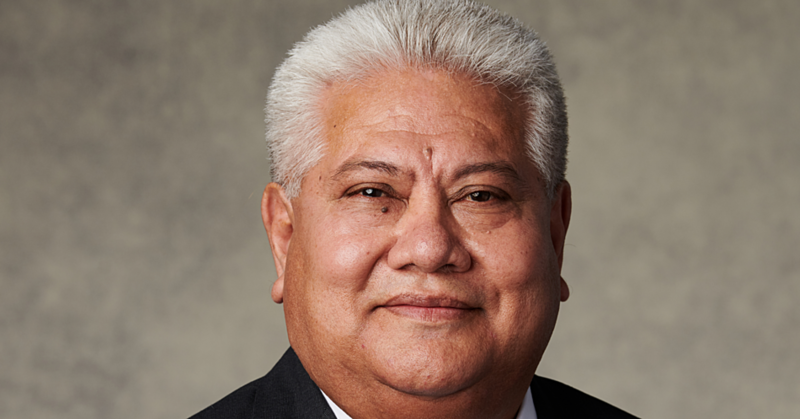 “About three and a half years ago, Manamea came to see me at the Cancer Society office. She told me her news about being diagnosed with Stage 3 aggressive breast cancer. “She told me then that she was not going to give in, that she was going to fight and live her life for as long as whatever time God would give her. Ms. Burich said Mana may not have beat cancer in the sense that most of us see it, but she did. “Mana beat cancer because of how she handled living with cancer. She didn’t let cancer change her in any other way, other than to let cancer make her the ‘voice’ and cancer advocate in the hope of making it better for others. Mana did not let her cancer scar her. Mana used her cancer as a lesson for change. “For Mana, it was about sharing her thoughts on various aspects that she experienced and where people can learn from and she did this constantly and heroically through her writings, appearances and postings. She was always willing to share her story. “She was never too ill to help others and to mobilise public and private sectors to take action. “The painting of our monumental town clock to pink is only one testament to the determination and spirit of Mana. Ms. Burich said Mana looked forward to each Pinktober and she used to tell me “every Pinktober is a milestone for her – another year that she continues to fight”. She will not be with us in body this Pinktober, but her spirit will be with us. Mana allowed her cancer fight to be shared, her feelings and her day to day trials and tribulations of living with cancer to bring hope, courage, faith and inspiration to others. “The Cancer Society has lost another brave warrior but Mana’s legacy of advocacy, partnership building, awareness and the need for change and improvement will continue by the Society. “As a friend, I have lost a hero. It didn’t matter what she was going through, she would be more concerned about how I was, how was my day and how was my health, always reminding me to look after my mind, body and soul. “I will my dear friend and I will continue to help Lumepa and the team with your Vanilla dream and the Living Museum. I am sure you already have gloves on, hat on, and landscaping to your hearts’ content. The heavens are blessed to have you in their gardens,” said Burich. Ms. Burich thanked Mana’s family for allowing the Society into their lives during Mana’s cancer fight and for sharing her with the Society to help make change. In closing, Ms. Burich read a small piece she thought summed up who Mana was to her. “This is from a story of a woman dying from cancer as she writes to her children to remember what cancer gave, not what it takes away. “It gives us perspective and gratitude for life, it gives us an attitude of ‘that’s not a problem’, it has given us a faith that is unwavering and an appreciation for all things good and bad because we learn from it all. “Mana, your lessons for change will live on in the many people you have touched and helped throughout your own battle,” said Burich. Last year October, the Miss Samoa Alumni established an initiative by Vaito’a Toalupe, a lifelong friend of Mana. “Mana is testimony to the strength of a human, especially a woman when pushed to a corner with three months to live, she retaliated with the willpower and God’s grace to persevere three more years and then went about proving why she deserves to live that much longer. “I don't need to tell the world what they already know about Manamea and her accomplishments. “What stood out from her life and will inspire me and the Miss Samoa alumni women is that she made the difference in her home, not just Samoa but her family. “As women, we identify with that every day. 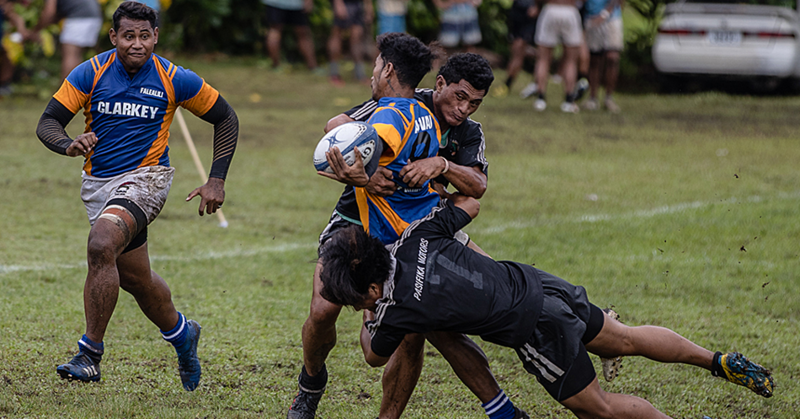 If anything her life drives home the message for us to value every second, minute and hour granted to make the difference where it counts,” Verona told the Samoa Observer. A journalist, Meritian Oti, was emotional when she spoke of Manamea. “A good friend who did not mince words, she will tell you as it is and she spoke her mind. “She was not just a close friend to me but also my entire family, my children loved her. “A character that clicked with anyone and everyone and Mana was never shy to put me in place when need be,” said Meritiana while giggling. “My husband and I love her so much that we named our second son Alan. “When I was pregnant with my second child, I hoped for a girl so I can name her Manamea, well that didn’t happen and so we opted for Alan, who is her other half. “And now I am a mother of five and Mana played a huge role in my life, not only as a ambassador to strive for the best but most especially my motherly role in my family,” said Meritiana. Fashion Designer, Natalya Ah Chong-Ah Him, a lifelong friend of Mana who’s currently in Hawai’i, told the Samoa Observer that she was her hero. “Mana was a true lifetime friend, one who I have been blessed to share many special moments with throughout my life. “My heart is heavy and I am lost for words, but knowing the type of person she is, she wouldn’t have wanted me to be sad but to rejoice in the good times and the memories we’ve shared and I can hear her now saying ‘stop being a makagaga Talya’ she would say and laugh away the pain she was in. Owner of Pele Creations, Natalya, says Mana played a huge role with encouraging her to follow her dreams. “Mana once said to me that 'God will always provide what we need and not what we desire’. “He sees your talents and encourages your creativity that’s what we all need to remember. He loves his creations and we can show him love through hard work, persevering, patience and dedication for the betterment of others. “He is a magnificent God and sure enough he has not failed me,” said Natalya. “Mana had so much faith and loved unconditionally, thank you Mana for being that special friend; one I will always cherish. I love you Manzie our Warrior Princess, you will always be close to our heart and with us in spirit,” she said. Victoria University; U.S.P. 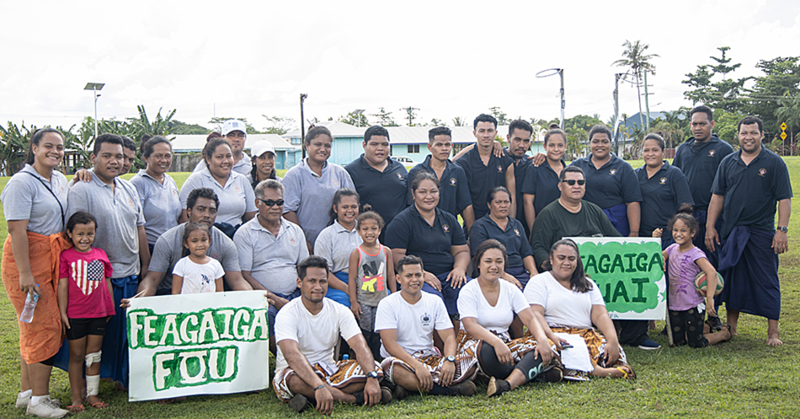 Fiji; U.P.Y Samoa; Samoa College; Leififi Intermediate School; Apia Primary School and Apia Infants School. 2014 - Samoa Cancer Society Volunteer Advocacy.